One of the best ways to save for future medical costs is to invest in a health savings account (HSA). It provides you with some great tax breaks while also helping you save for future healthcare expenses. These investments could prove vital amid daunting healthcare costs you may face as you get older. In fact, a recent Fidelity study found a 65-year-old couple would need $275,000 to cover health-related expenses in retirement. You can open an HSA at most banks and financial institutions. But not all are created equal. 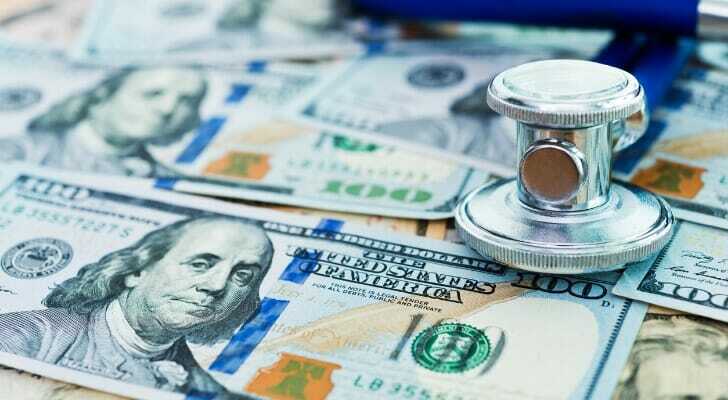 In this article, we explore the best HSAs around. We’ll cover fees, interest rates and more. At Bank of America, you can open an HSA in just a few minutes. Whenever you invest in an HSA, you do it with pre-tax money. This means it comes out of your paycheck before Uncle Sam takes a chunk. Therefore, you can lower your taxable income when you contribute to an HSA. In addition, your money grows tax-free. At Bank of America, you’d get an interest rate of 0.30% on a $15,000 investment. Our data shows that Bank of America will charge a maximum monthly fee of $4.50 on your account. In addition, you can manage your HSA with the Bank of America MyHealth app. It allows you to check balances, file claims and manage debit cards. With HealthEquity, you can open an HSA as long as you also pair it with a high-deductible health plan (HDHP). It can collect an interest rate of 0.40%, and the most you’d pay a month would just be $4. However, your money will grow tax free. And the money you withdraw won’t be taxed either, as long as you use it to cover qualified medical expenses. Plus, you get to keep your account even if you leave your current job or switch to a different HDHP. And unlike several providers, HealthEquity offers you access to a digital advisor. The platform helps you choose an investment based on your risk tolerance and financial needs. Your investment options also contain an “auto-pilot” feature that automatically rebalances its asset allocation over time. 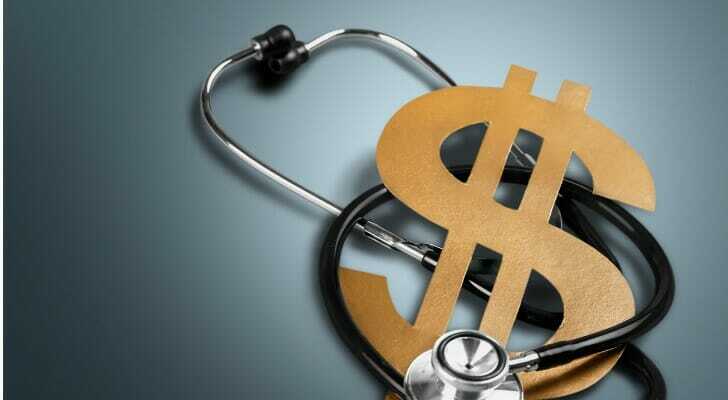 The Health Savings Administrators HSA has no minimum balance requirement. And you’d earn an interest rate of 0.40%. The maximum HSA contribution for 2018 is $3,450 ($6,900 if married filing jointly). In 2019, the limit rises to $3,500 ($7,000 if married filing jointly). When you open an HSA with Health Savings Administrators, you can select from more than 80 funds managed by leading investment firms like Vanguard and T. Rowe Price. The firm also offers an Investor SELECT service, which helps you pick the right investment. 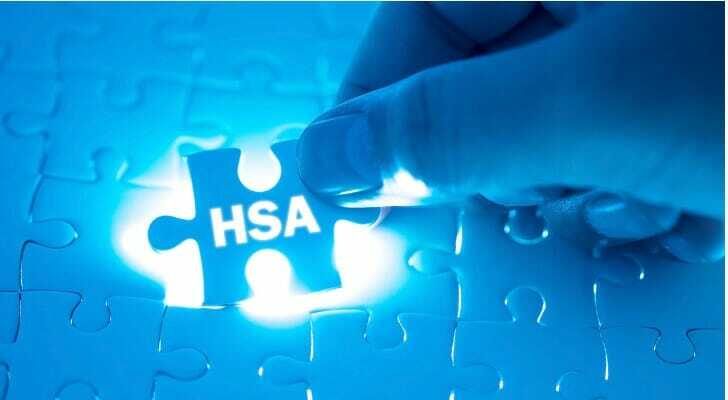 HSA Bank offers a variety of tools to help you manage your HSA. For example, you can use an HSA savings calculator to help you decide how much you should sock away in an HSA. The firm also offers a Health Plan Comparison Calculator. According to our research, you’d earn an interest rate of 0.35% on an investment of $15,000. UMB Bank allows you to open an HSA by investing in a variety of mutual funds. It charges a monthly fee of $3. However, all accounts are FDIC insured. You can use your HSA dollars for eligible doctor’s visits, prescriptions and more. According to our research, an HSA with UMB Bank pays an interest rate of 0.40% on an investment of $15,000. Optum Bank recently launched a series of digital features to help you understand and manage your HSA. So if you want some guidance in working out your HSA or savings plan, Optum Bank might be a good fit. Our data shows an account with the bank currently generates an interest rate of 0.40%. It also offers some of the lowest fees. It charges a monthly fee of $1.75. Once your balance crosses $1,000, The HSA Authority allows you to invest in a range of mutual funds. The deposits will be held at Old National bank, so you’d also get access to all of the bank’s digital features. In addition, you’d get a debit card linked to the account. You can use this at any ATM. And don’t worry about not using your funds. Your money rolls over into the next year and continues growing tax free. Our data shows it earns a current interest rate of 0.07%. And the bank charges no monthly fee. The HSA by Further offers the highest interest rate out of all the accounts in our study. It currently stands at 1.15% for a $15,000 investment, which climbs as high as some of the best savings accounts available today. In fact, it rises to 1.255% on balances of $25,000 or more. And the maximum monthly fee is $4. The bank offers a range of digital tools to manage your account. You can access these through any mobile device. Sometimes, it’s not easy to know how much you should be saving in a retirement plan. To simplify the process, we developed a retirement calculator. If you haven’t started already, you should invest in a tax-advantaged retirement plan such as a 401(k) or an individual retirement account (IRA). Any time you’re making serious retirement planning decisions, you should seek the help of a financial advisor. You can use our SmartAsset financial advisor matching tool to get paired with up to three people in your area best suited to your needs.